Since joining Jordan Brand last month, it's been smooth sailing for the man they call 'L-Smooth.' LaMarcus Aldridge has started the season playing exclusively in classic Jordan retros, namely the Air Jordan 11 and Air Jordan 13. 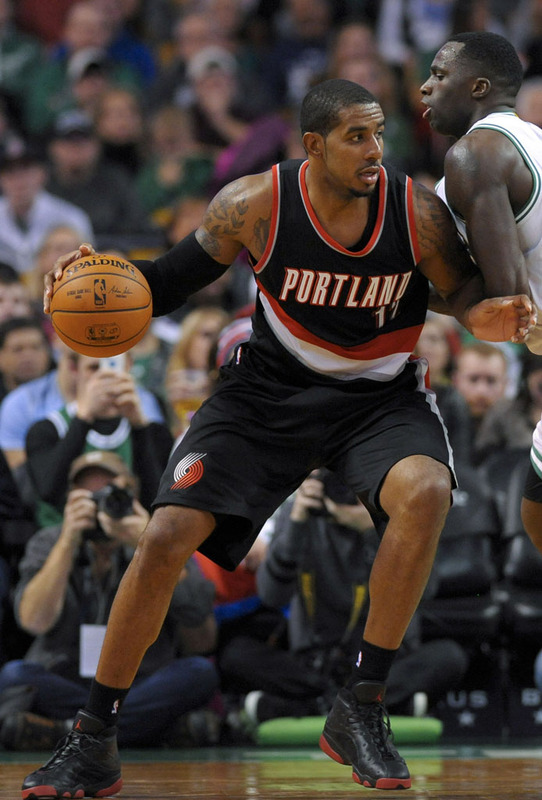 When the Portland Trail Blazers visited the Boston Celtics earlier today, he debuted a new colorway of the latter. Unveiled over the summer, the 'Infrared 23' colorway brings red pods to the black-based 'Playoff' 13. The release is currently set for December 13. 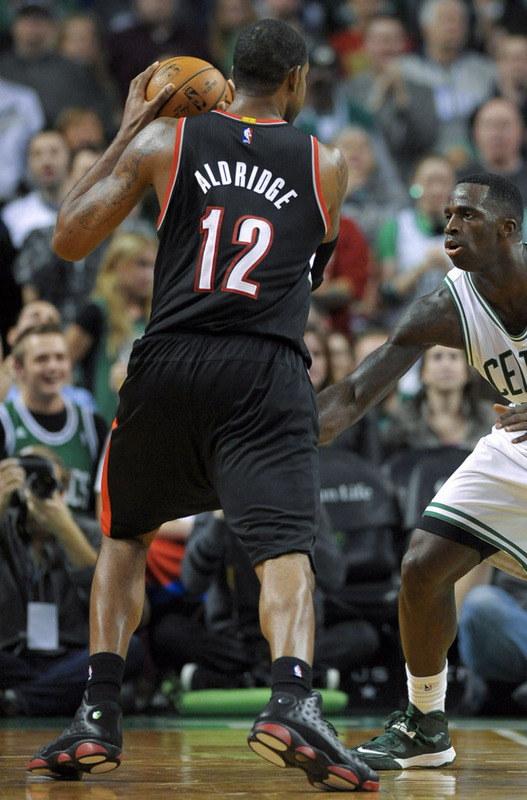 Aldridge went for 20 points and 14 rebounds in Portland's 94-88 win over Boston. How do you think this new style looks on-court? Share your thoughts with us below and keep it locked for more NBA Sole Watch.